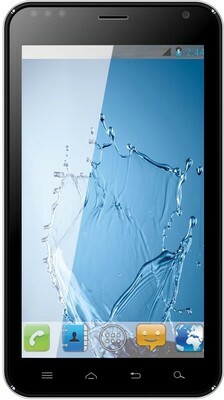 (Ice cream sandwich) & a powerful 1GHz Cortex-A9, Dual core processor with 512 MB RAM which enables to fast access to the apps. Company has given two cameras one is primary with 8 Megapixels & a secondary one of 1.3 Megapixels which is also good with 4x digital zoom & flash light and auto focus to frizz your life’s golden moments. This smartphone has 2500mAh battery which gives you 3Hrs of talk time and 100Hrs in of standby time. Intex Aqua Style has 1GB of internal storage & expandable up to 32GB micro SD memory. You can connect to internet by 3G, Wi-Fi. For file sharing it has v4 A2DP Bluetooth. Intex Aqua Style have proximity sensor, G-sensor [Gravity sensor] & an accelerometer. This smartphone have normal features like other smartphones like video player (which supports 3Gp, Mp4, HD formats), Google maps, Gmail, etc. If you don’t like reading like this then read it in table format here. so we get reward & can able to run this blog (don’t get me wrong). For any query or suggestions then drop a comment. Thank you.